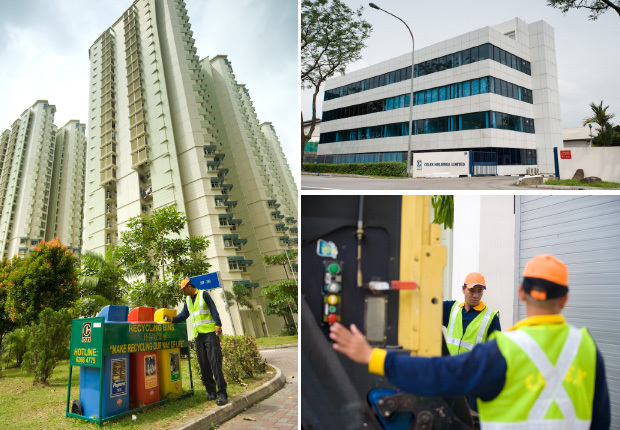 Colex specializes in waste disposal for a wide portfolio of clients including commercial offices, shopping complexes, food courts, cineplexes, residential buildings and warehouse. Colex’s unwavering focus on quality and service has resulted in it being awarded by the National Environment Agency (NEA) the 5-year Bedik sector municipal waste collection contract in 1999. This was followed by the 7-year Jurong sector municipal waste collection contract which commenced on 1 April 2006.